Born 5 August 1811, the son of a musician, Thomas began to play the piano at an early age and in 1828 entered the Paris Conservatoire. In 1832 he won the Prix de Rome and subsequently spent three years in Italy. 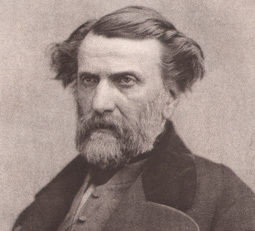 His first opera, the one-act comedy La double echelle, produced by the Opéra-Comique in 1837, scored a considerable success and received 247 performances. In 1849 he wrote his first undisputed triumph, Le caïd, which by 1900 had received over 400 performances. His greatest success was Mignon (1866), one of the most popular works in the history of opera, with over 1200 performances by the end of the century. 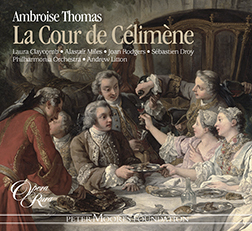 In 1871 Thomas succeeded Auber as director of the Conservatoire, a post he held until his death in 1896.